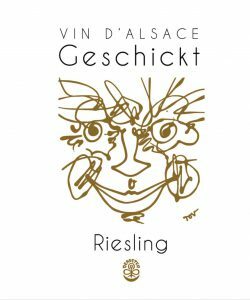 Domaine Geschickt is an exciting producer from Ammerschwihr in Alsace just north of Colmar who have been farming biodynamically since 1998. The small village of Ammerschwihr lies in a beautiful valley and the town is surrounded by grape vines. They produce some classic wines including some incredible Grand Cru wines (from Kaefferkopf and Wineck-Schlossberg) as well as more modern styles of wine including a mind-blowing pet nat and some skin contact wines. The photo above was taken in one of their vineyards. Notice the rolled grass which is allowed to grow then is rolled with a special machine so that it provides nutrients back into the soil. The wines that we have are listed below. This wine is an homage to Star Wars, a film that appeals to all generations and this wine will do the same. This wine has everything. It is not sweet, the bead is fine, the acidity adds to the taste sensation without dominating and it lingers for a long time. It is made from Pinot Auxerrois and some Muscat. There are no added sulphites in this wine and the alcohol level is an appealing 11.5%. And, of course, the best thing is that it is a pet nat. We have been importing pet nats for a long time and they have become incredibly popular in Australia. This one will not disappoint. It is fresh, it is vibrant, it is dry, it has lots of energy, it has fine bubbles and it is very, very tasty. A cremant sparkling wine which is called double zero because, as Aurelie Fayolle explained to us it has zero sulphites and zero added sugar (dosage). It is an “assemblage” of four grape varieties, namely Chardonnay, Pinot Blanc, Auxerrois and Riesling. The grapes were picked by hand then pressed slowly in a pneumatic press. The first fermentation was entirely with natural yeasts. The wine was then bottled for the second fermentation (where some juice from 2016 was added to kick off the fermentation in the bottle) and the wine was matured “sur latte” to gain extra complexity. No sulphites or sugar have been added to this wine at any time. This is a skin contact (orange) wine made from Pinot Gris and a small amount of Gewurztraminer from the Kaefferkopf Grand Cru vineyard. Like the maceration Pinot Gris we import from Jean Ginglinger this one is a deep pinky orange colour. The maceration continued for one month which has nicely developed the colour and the tannin structure in this wine. It was matured in steel tanks. One extra bonus of maceration white wines (which are also called skin contact wines or orange wines) is that they match beautifully with a wide range of foods. In fact, you can drink them right through a meal. It will improve and soften over two or three days after opening making it a great wine for restaurants to pour by the glass. 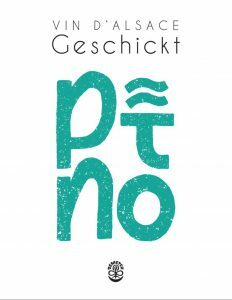 This is a stunning Riesling of wonderful length and minerality made from grapes picked from various parcels near the villages of Birgele, Holderbaum and Prediger. It has gained complexity from fourteen months in foudre and old barriques. It has also developed a beautiful texture in the mouth. It was bottled without filtration, fining or the addition of sulphites. One thing we like about this delicious wine is that it is quite dry. 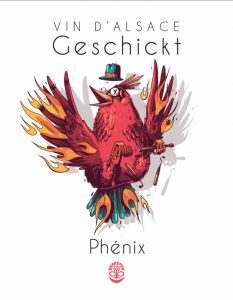 In Alsace there is a general preference for wines with some (or a lot) of residual sugar, however Geschickt prefer their wines on the drier side and so do we. 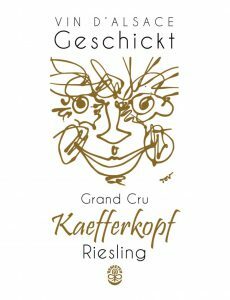 This is a blend of two Pinot grape varieties, namely Pinot Gris and Pinot Auxerrois with some of the Pinot Gris coming from the amazing Grand Cru Kaefferkopf vineyard for added complexity. 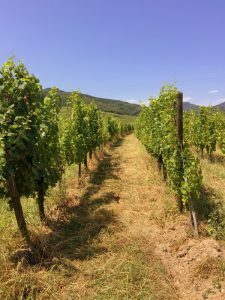 The vines are planted in complex terroir in several plots around Ammerschwihr which sees soils made from alluvial clay, marl, granite and limestone. This is fortunate because Pinot Auxerrois has a particular affinity for limestone and when grown in limestone also adds weight to a blend. Pinot Auxerrois is also known simply as Auxerrois and is a child of the grapes varieties Pinot Noir and Gouais Blanc and is native to the Alsace and nearby Lorraine and Mosel. The wine is blended and put in old wooden foudres to mature for 18 months. The wine is not fined or filtered and one gram of sulphites was added. The wine is bottled with a DIAM closure. A Riesling hand-harvested from the complex terroir of the Grand Cru Kaefferkopf vineyard where the vines are old and the yield is very low. It was aged for 14 months in foudre and old barriques. This eastern-facing vineyard which sits at about 300 metres above sea level is very famous and thoroughly deserves the Grand Cru status. The soils are derived from both granite and limestone which are responsible for the complex minerality found in wines made from these vines. The Riesling is complex, generous and quite intense. It has wonderful acidity which gives the wine a freshness which is very appealing. This is a very serious yet approachable wine which you will be able to enjoy for many years. 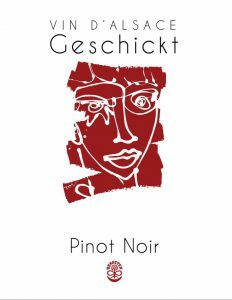 This beautiful Pinot Noir was made from grapes picked from their vineyards Soot and Hochstaden where the yields are very low. However, low yields often produce much better wines as fewer grapes are competing for the goodness being fed into the vines from the soil. After a careful selection of grapes for ripeness the juice is macerated on skins for two weeks before pressing and then transfer to old wooden foudre where it matured for 14 months.